I should begin by saying that I am a real girly girl -- I like movies that are corny, sentimental and dramatic, and I'm not ashamed to say so! And this movie is very corny, sentimental and dramatic. I should also point out that when it comes to movies, I have a knack for suspension of disbelief, and I think that's a necessary quality when it comes to enjoying films like The Wind Cannot Read. Sure, there are a bunch of plot twists that would be close to impossible in reality, but that's why this is a movie and not a documentary. Some movies require you to forget reality -- and in my opinion that often makes them more enjoyable. Now, with those two disclaimers out of the way I'll tell you a little about the film. 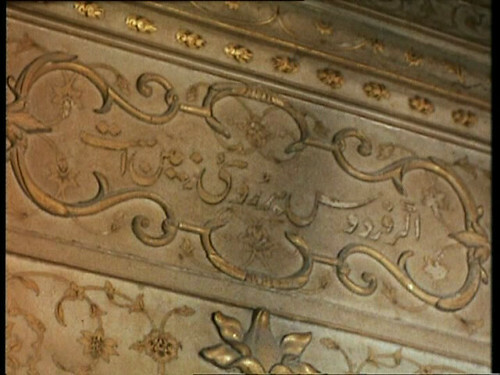 It takes place in India during World War II. 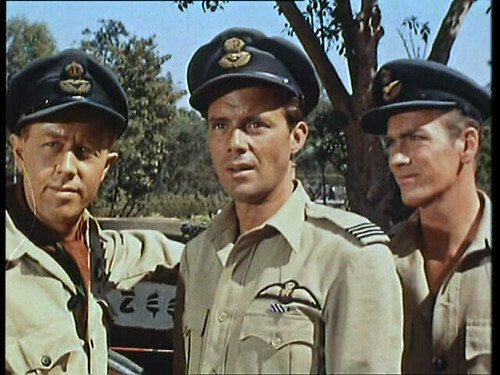 The British are teaching some of their soldiers Japanese so that they can interrogate Japanese POWs in India, and Dirk Bogarde is selected as one of the students. Complications ensue when Dirk falls head over heels for his language teacher, Yoko Tani. Their courtship at first is almost embarrassingly awkward, yet awfully adorable. It blossoms into an epic love, one that reminded me of Doctor Zhivago, Cold Mountain and Now Voyager; that unearthly attachment between two people that makes war and torture seem like a walk in the park compared to the agony of separation. The movie starts out relatively slow, but the last half of the movie is an emotional roller coaster. I actually cried more than once (real tears streaming down my face, not just watery eyes, mind you!) and felt my stomach doing somersaults during the war scenes. I actually felt exhausted when the movie was over. But a good exhausted-- this was a fantastic movie, and watching it was a very enjoyable experience. I really believe, though, that it would only be enjoyable if you were able to suspend all disbelief and just let yourself get whisked away into the fantasy of the movie. I think an imagination is one of the best things a person can have -- without it life would be so dull. I'd hate to watch this movie and only see the unrealistic flaws. I only bring this up because after being overwhelmed by the movie I whipped out my Dirk Bogarde book by Robert Tanitch. The book has a little synopsis of each movie, photos and original reviews from the time the movies were released. I usually like to read the original reviews because Tanitch doesn't seem to be much of a fan of Dirk Bogarde (why he wrote a whole book one someone he obviously doesn't like escapes me) but this time I peeked at what he wrote anyway. When describing a particular scene (which I won't mention because it gives away the plot; Another stupid thing about this book.) Tanitch writes, "[it] was so improbable as to be silly." He also wrote, "The wind cannot read, and on the evidence of this script, she cannot write either." I'll be the first to admit that there are cliches in the film, and some of the plot twists you can see coming from a mile away. But Tanitch doesn't seem to grasp that this is an unrealistic epic love story, not a documentary about World War II. You expect different things from different movies, and you need to appreciate this film for what it is: a lovely, hopelessly romantic chick flick that requires suspension of disbelief. As for the reviews from the film's release, there was one that really nailed Dirk Bogarde's matinee-idol style of the 50's, though I personally disagree with his use of the words "too much". 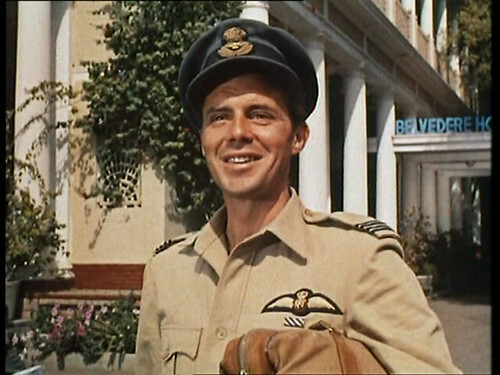 In it, the author (from the Sunday Express) states that Dirk Bogarde "still offers too much of the wry smile, the imperceptibly quivering stiff upper lip, the spaniel pathos in the eyes." This is actually a perfect description of his characteristics during this time period, but they were fitting, not excessive, considering his popularity with the female fans, and the fact that roles like this one are supposed to be sort of fantasy figure for the bobby-soxers. And despite his swoon-worthy facial mannerisms that seem to have irked the male film critics of the time, Dirk Bogarde was definitely already showing signs of the awesome talent he'd become in the early 1960's. "Be there a heaven on earth, it is this, it is this, it is this." I took 30 screen shots in all, to see them click here. 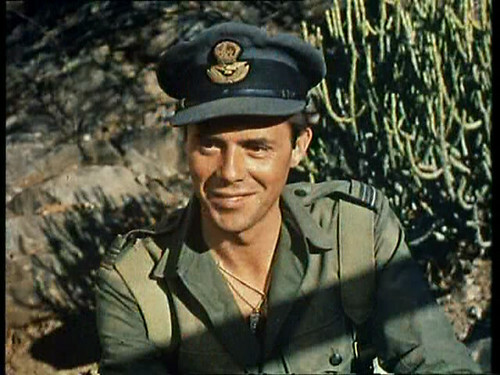 This post was originally published on my Discovering Dirk Bogarde blog. Sometimes it's necessary just to sit back and enjoy the ride. My beau tends to look for editing cuts and flaws. I overlook all of that stuff and let the story carry me away. It's much more enjoyable. This movie sounds great! That poster is gorgeous. I'm totally with you on the suspension of belief. I ALWAYS do that. 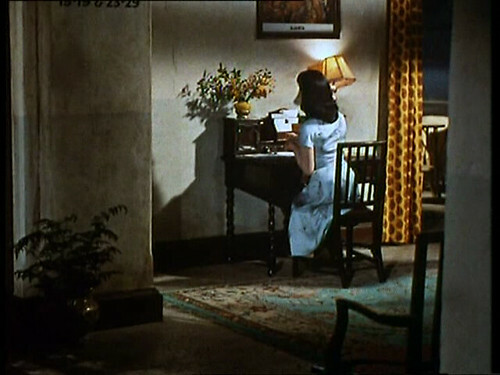 Even for random little films like Gidget Goes Hawaiian (AHAHA!). I just do. I feel the entire story. And I get caught up in the characters. I LOVE the protagonists and HATE the antagonists. It's pretty hysterical actually. AWWWW, he smiles...because SERIOUSLY, like you said Yesterday...he doesn't smile ENOUGH in his films...SHEESH! Looks like a wonderful film. I must watch it! And yes, some viewers really do need to lighten up a little and have FUN when watching movies. Not everything has to be an oh-so-realistic and intellectual commentary. They're really just screwing themselves over. this reminded me of a time i played High Sierra for a friend of mine and all he did was point out the flaws in logic (like how come they didnt wear masks during the robbery, etc, etc) and failed to see the bigger concepts at work and/or just enjoy the damn film! i'm also thinking of a monologue by Carlos Mencia here he was goofing on all the people that criticized Star Wars Phantom Menace... i dont recall exactly what he was saying but it was basically how we all have NO problem accepting yoda, jedi powers, space ships, and all that but "Jarjar Binks with a Jamaican accent?!?!? that's not realistic maaaaaaan!!!!!" some people just cant enjoy flights of fantasy in a movie. they have to be grounded at all times. Generally the people i've known like that seemed to lack an imagination. Like the netflix review i read on Inglourious Basterds where the person criticized Tarantino's historical inaccuracies! hello!! !, Jew Vengeance fantasy, not meant to be taken as a history lesson!!!! oy!!!! 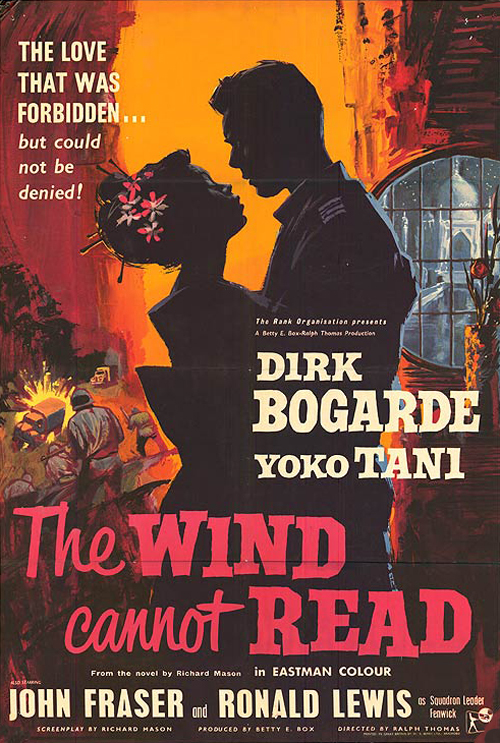 you know, i've only seen ONE Dirk Bogarde film so far, ACK!! !